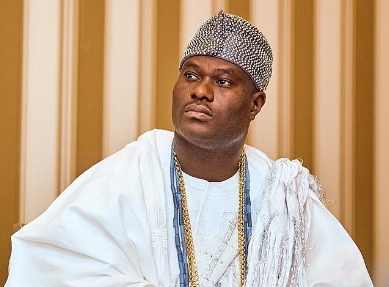 The Ooni of Ife, Oba Adeyeye Ogunwusi, has been invited as a special guest of the Canadian Government to grace the country’s 150th Independence Anniversary celebrations in July this year. The special invitation was conveyed to the Ife monarch in his palace on Sunday by a Canadian Member of Parliament (MP), Ramesh Sangha. Delivering the invitation, the Canadian MP said that the invitation was aimed at forging stronger ties between Canada and Nigeria. Sangha, representing Brampton Central in the Canadian Parliament, said he would collaborate with Federal Government in the areas of economy, youth empowerment, health services, agriculture, science and technology while in Nigeria. He described the Ife monarch as a “reference point in Nigeria in view of the enviable niche he has carved for himself since mounting the throne of his forebears. “On behalf of Canadian Prime Minister, Rt. Hon. Justin Pierre James Trudeau, we are inviting you to the 150th Independence Anniversary Celebration of Canada coming up in July,” said the Canadian MP. Responding, Oba Ogunwusi said he would continue to promote Yoruba tradition and cultural heritage as well as propagate peace and unity across the world. The Ife monarch said he would grace the occasion in Canada and also promised to contribute his quota to the success of the programme. The Canadian delegation included John Adeyefa, President, Nigerian-Canadian Association in Ottawa, Chidi Nwanyanwu, President, Nigerian-Canadian Association in Ontario and Sola Agboola, Leader, Nigerian Young-Adult Association in Canada.